If you place several of these wine racks side by side, you can cover an entire wall and store a lot of bottles for a very modest outlay. This model is also available in 36 bottle size. The bottles sit nicely on this wine rack and tilt a little forward so you can more easily see which bottle is which, with the added bonus that the cork does not dry out. Bottle type Bordeaux and Burgundy bottles fit in this rack and in some places even Champagne bottles. The top shelf fits all types of bottles. The wine rack is delivered unassembled. There may be knots in the wood and the finish is not optimal. 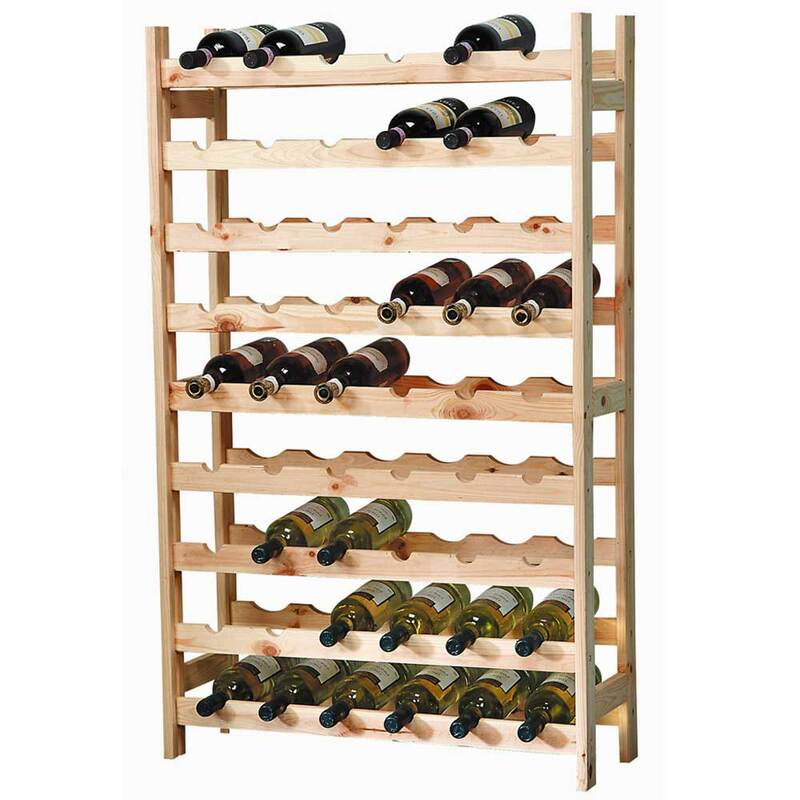 But it is functional and one of our best-selling wine rack. The wine rack has pre-drilled holes to mount the bottle holder on. Would you like a wine rack with a better finish and that is easy to assemble, we recommend Eliza wine rack for 64 bottles (available in 2 versions). Eliza without display and Eliza with display.